A 13-year-old boy is being hailed as a miracle child after he came back to life following his parents signing papers to donate his organs. 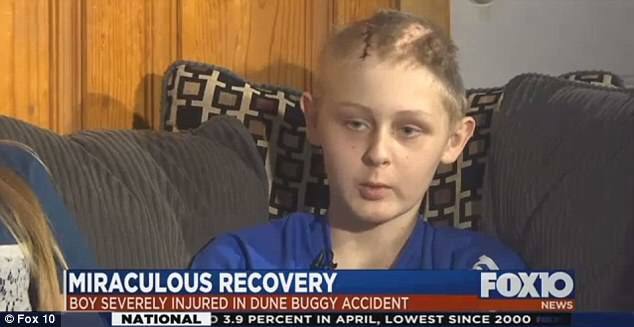 Trenton McKinley, 13, told FOX10, that he was playing with his friend in March in a trailer being pulled by a dune buggy. The teenager, from Mobile, Alabama, said his friend suddenly slammed on the breaks, causing the trailer to flip over. Trenton's head slammed into the concrete. He was rushed into emergency surgery at USA Medical Center where doctors told his parents that he had seven skull fractures. 'All I saw was a stretcher with his feet hanging out. 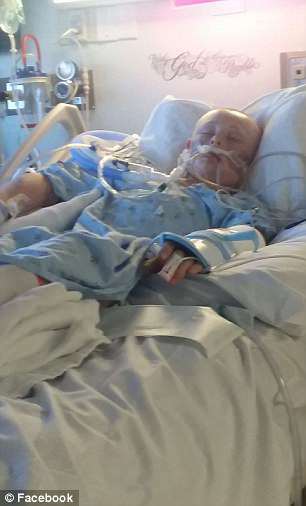 He was dead a total of 15 minutes,' his mother, Jennifer Reindl, told FOX10.Because Trenton was declared brain dead and barely breathing, his parents made the heart-breaking decision to donate his organs to children in need of transplants. The day before Trenton was meant to be taken off of life support, he began to show signs of brain activity. 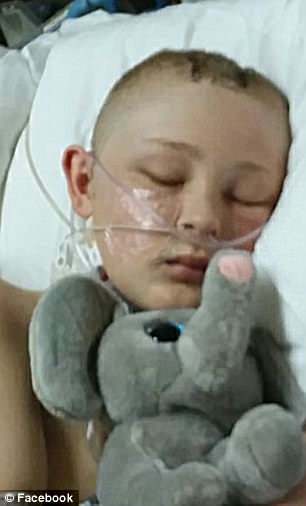 His mother wrote in a Facebook fundraising page that he began to breathe on his own and, when he woke up, he was speaking in full sentences. However, the road to recover has not been easy. Trenton has lost 50 pounds and suffers daily from nerve pain and seizures. Trenton has had three brain surgeries so far and has finally been allowed to return home. Soon he will be back in the hospital to have part of his skull reattached. But he's maintained a great sense of humor about the trauma he's endured. 'I said I could turn sideways and put salsa in there and eat chips and dip out of my head. No more washing dishes for me!' he told FOX10 in reference to the dent in his head. 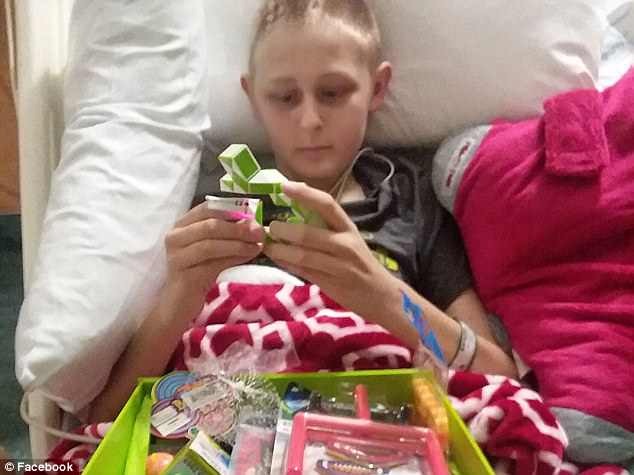 A Facebook fundraising page has been started to raise money for Trenton's medical bills. So far more than $3,300 has been raised out of a $4,000 goal.